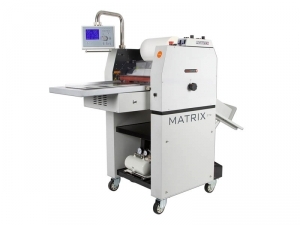 The Matrix by Vivid Laminating Technologies is designed to to help breathe life into your business by allowing you to provide your customers with a service you previously had to outsource. What’s more, you can expand the capabilities of the Matrix with a range of accessories including an Omniflow Auto-Feeder, Take-Up Unit, Flatbook, Fan System and Film Slitter. Spot UV, Laminating & Foiling with a variety of options including Transparent, White, Silver, Gold and Glitter substrate. 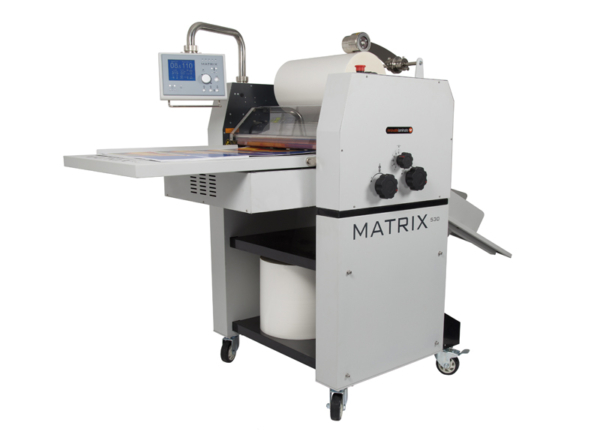 Ideal for finishing print products including Business cards, Menus, Book covers, Brochures and Flyers. 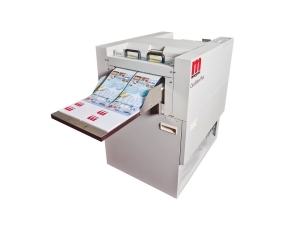 Anti-curl technology ensures that whatever you laminate comes out smooth and flat.